Let’s be honest: balancing the many tasks required in life can be difficult and often results in creating messy and stressful situations. Most of us have to manage work, school, hobbies, activities and goals every day. Sometimes, you could even end up forgetting or sacrificing your daily routine, which is a great way to guilt-trip yourself. You might also feel interested in your mood during the week and want to document your feelings on a certain day. Daylio aims to organize this by being your own personal life manager, acting as a diary, journal and a mood tracker. Hey Daylio, what was my mood like this week? One of Daylio’s main goals is to keep mood and activity tracking simple and easy. Next, Daylio will ask what activity the user is doing at that moment, in which there is a number of activities to choose from. 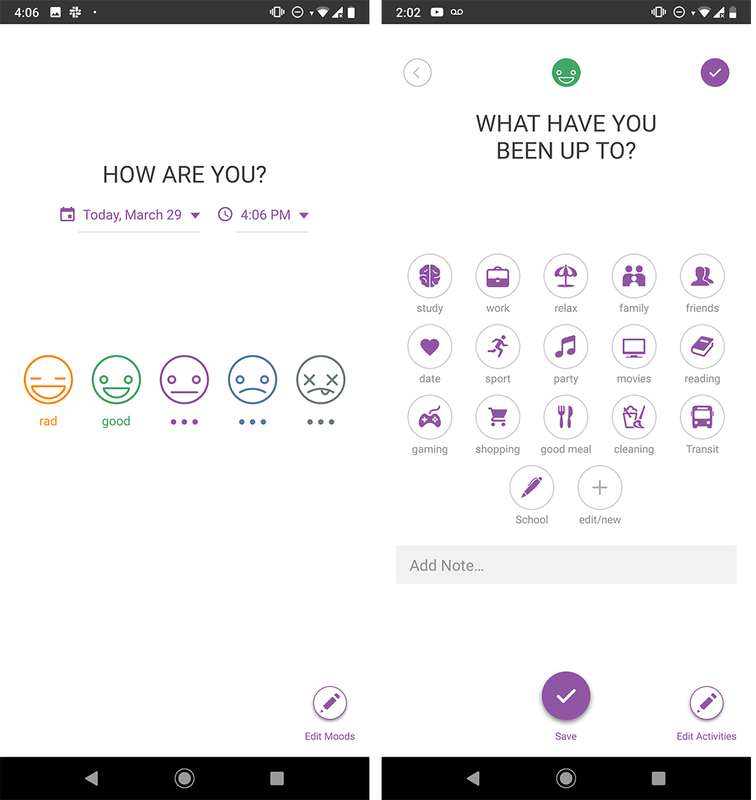 Users can also add more moods and activities to the pre-selected options to help with overall accuracy. After adding an entry, this information will be documented to produce charts, statistics and interesting findings correlating with your activities and moods. 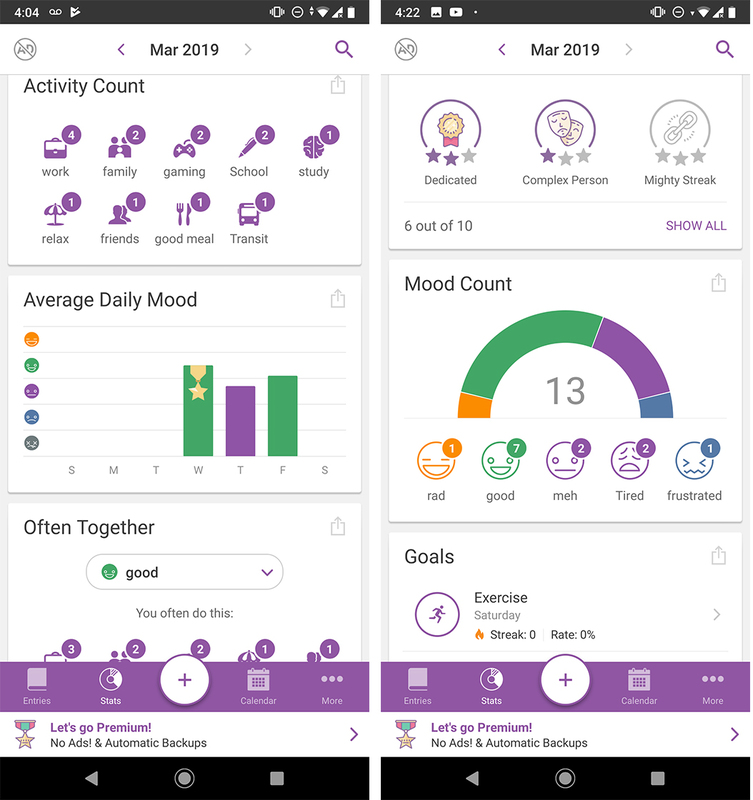 For example, Daylio creates a chart where it shows your average daily mood on a certain day, which is useful if there are any cool personal trends with different days. If you’re struggling to manage personal goals, such as studying, Daylio helps remind you of your seemingly abandoned resolutions. Setting a goal is easy since it’s similar to picking an activity in your daily entries. You can either create a new activity, try Daylio’s suggested actions or reinforce habits already documented in an entry. Once you set a new goal, there’s a variety of options to help keep your personal promise. You can choose when to repeat the goal (whether it’s every day or every Thursday), allow push notifications, set specific times to accomplish your activity and choose the start date. Overall, Daylio helps create “a better you” by being an accessible and informative life tracker. Not only can it help you change aspects of your life for the better, but it can also help keep you more organized in life’s never-ending events. Daylio is free on iOS and Android devices. However, there is a premium version that costs $9.99 CAD, which adds more mood selections, allows an unlimited number of goals and eliminates ads.